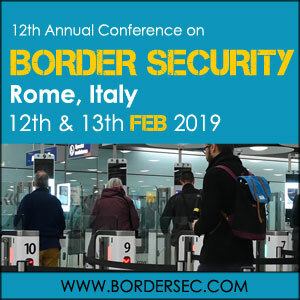 LONDON, LONDON, UNITED KINGDOM, December 5, 2018 /EINPresswire.com/ — Taking place on the 12th and 13th February 2019 at the Crowne Plaza St Peter's Hotel & Spa, Rome, Italy, the 12th annual Border Security conference and exhibition will open its doors to more than 100 senior security experts, law enforcement officers and industry representatives from around the world, as they discuss and explore the political and technological solutions being utilised to secure national borders. With spaces limited, conference organiser SMi Group are encouraging delegates to book their seat now to avoid disappointment at this sell out event. WHAT’S NEW IN THE BROCHURE? There will also be an evening networking reception hosted by Vancouver Airport Authority day-one at the conference.